Everyone is always busy and can rarely spend some quality time with their significant others these days. Besides, candlelight dinners and walks on the beach are cliche and boring date night ideas. Want to try something new? Spend some time playing video games together! Whether you are a seasoned gamer trying to introduce your significant other to video games; or you are simply looking for something new to do, playing games together will be an enjoyable experience for both of you. Who knows, maybe you can even get them hooked to video games. Here are 7 exciting and enjoyable games to play with your significant other. This is a fun massively multiplayer online role-playing game or MMORPG. In this game, you play a pirate character in an ocean world and can sail across 37 oceans. 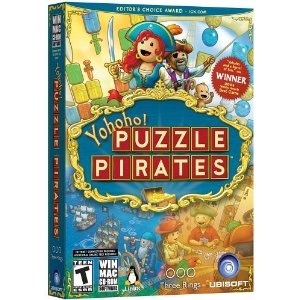 Solve the puzzles to gain a fortune and indulge in sailing and swordfights. This unique game will be enjoyable to you and your significant other as it is exciting, with excellent visuals and a social ‘piratical’ setting.